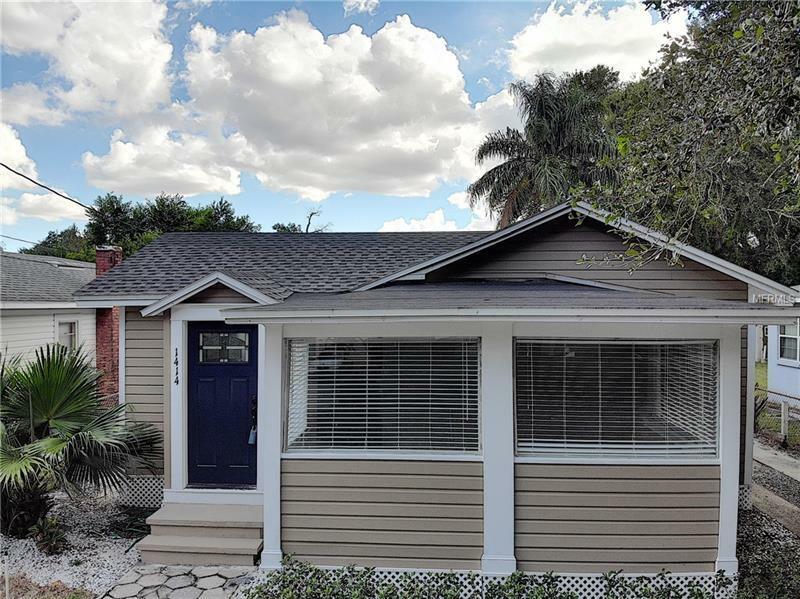 Located on a brick-lined street in one of the Historical District's of Downtown Orlando is this recently updated 3 bedroom/ 2 bath home with the infamous cross-street of Shine and Harwood. This home has a new roof, new doors and insulated windows, a new AC handler and compressor, new electrical, new plumbing and insulation. Permits were pulled and this beautiful home has been brought up to current standards without disrupting it's historical appeal. The kitchen features brand new cabinets with 42 inch uppers. High quality Pergo wood floors throughout the house including the bedrooms. All the fixtures are brand new. Vaulted ceilings with recessed lighting in all rooms. Remodeled bathrooms. Large Florida sun room with large windows. Outdoor deck, and green space. Enjoy the lifestyle that downtown Orlando has to offer, walk to Lake Eola, Thornton Park and Mills 50 district, or the YMCA facility, there is also nearby shopping and is conveniently located near major highways.